Remove dead hair and undercoat with minimal cutting with the Oster Professional Pet Grooming Undercoat Rake. Designed for breeds with medium-to-thick undercoats, such as terriers, spaniels, and setters, this durable grooming rake creates the look of a hand-stripped finish in minutes. Its solid stainless steel blades offer rounded ends that glide smoothly through fur without irritating skin. 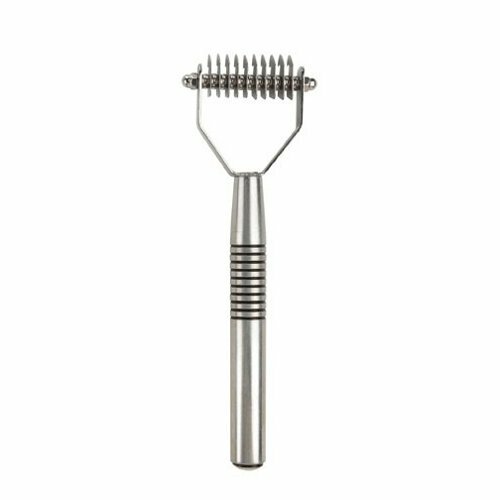 Ideal for shaping, finishing, and thinning, this versatile dog grooming tool resists rust and is easy to clean.